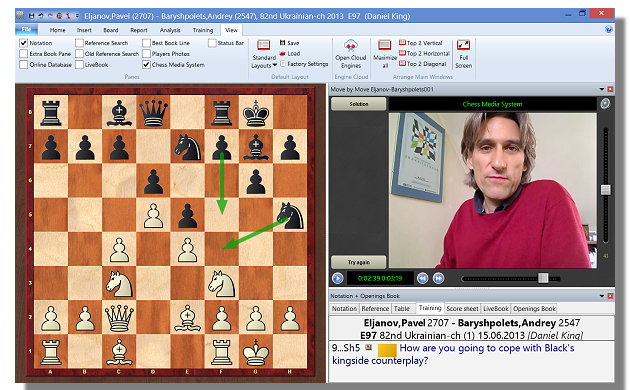 Try out ChessBase Magazine now and secure your ChessBase-Shop.com voucher! 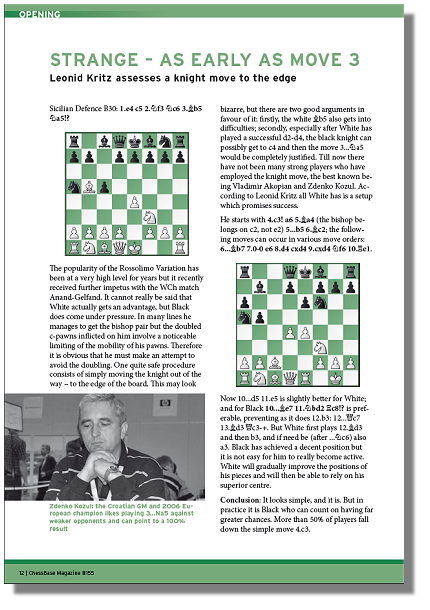 Order the ChessBase Magazine taster package! Read ChessBase Magazine for 6 months (= 3 issues) for the special price of only 49.90 € (instead of 59,85 € for buying them individually). Act now and get your 10 € voucher for the ChessBase Shop! * Bonus for new subscribers only! If you order a digital subscription you will receive the voucher key right with your order confirmation by e-mail. ** Special price for Megadatabase 2018 only for those subscriptions which started before September 01, 2017. Top tournaments: Zurich Chess Challenge, Wijk aan Zee and Gibraltar with the winners Carlsen, Aronian and Cheparinov. 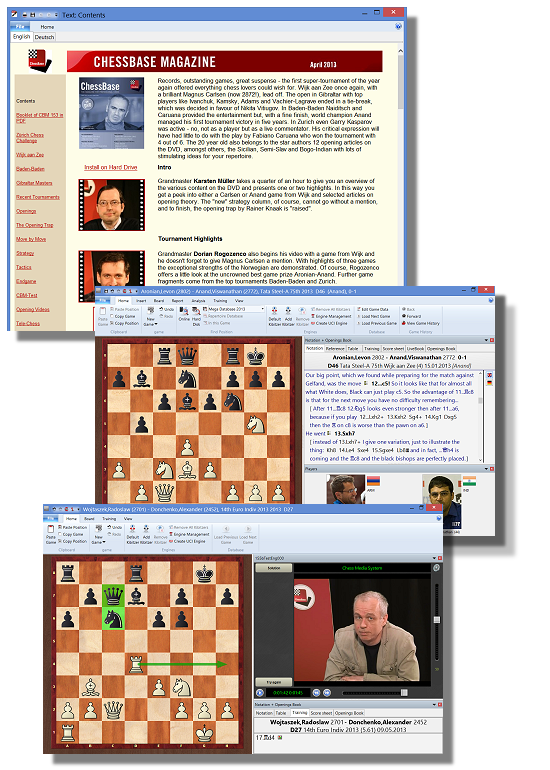 Analyses by Aronian, Caruana, Heine Nielsen, Van Wely and many more. NEW! Interactive video training with Daniel King and Karsten Müller.